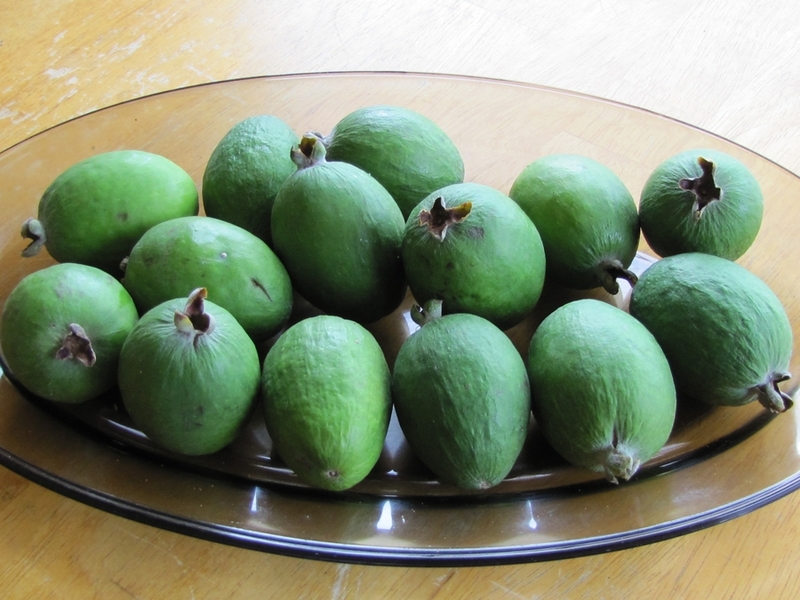 my views of New Zealand: it's feijoa time! I am not really adventurous when it comes to trying different fruits so I'm pretty sure I would never have tried a feijoa--at least, not in Kansas. But here in NZ is a different story. All it took was for two kids and one adult to get excited about a sign on the side of the road for me to anticipate a new fruit for my taste buds. The anticipation in their voices along with animated faces and arms is all it took. I am so hooked on these wondrous little beauties. Click here for a very brief history of them. And then, next fall, try some! You just cut them open (I just cut the tops off) and dig the ugly but scrumptious taste out with a spoon. I've never heard of feijoa, I'll have to keep an eye out for it and give it a try. I looked it up on the internet and found it's also called pineapple guava...I love guava fruit, does it taste anything like it? Feijoa? Totally unknown to me but now I'll be looking for them so I can try one too. Drool!!! I haven't had a feijoa in 36 years, (when I left NZ for USA) I also used to like to cut them in half and dig in with a spoon. They look like kiwi! Brave person! I discovered a lovely recipe for a feijoa loaf which has been a hit. I posted a pic of feijoas on my facebook page and got many comments from homesick kiwi friends drooling over the memory of them!